Leaving Marlin Way was difficult. Not because I’d grown any great attachment to the flat, but because we were moving to “GROPER” Street. GROPER. One who gropes. It’s not even spelled the same as the fish. THE STREET NAMES WERE SUPPOSED TO BE NAMED AFTER FISH. Because my family members are all mature and reasonable and would never let a thing like street names get us down, we took to our new address with grace and humility. Nah just kidding, we all sulked about leaving Marlin Way 24/7 and refused to say GROPER St properly, choosing instead to only ever spit it out in a guttural bark: GROPER. That’s why it has been written in all-caps since the story heading. Tradition. Grace and humility. GROPER. I fail again: I can’t find house we lived in. 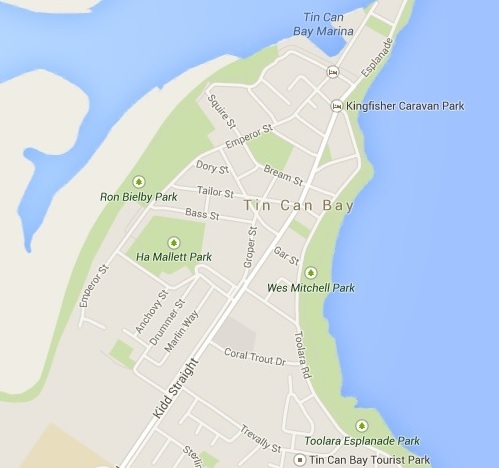 Instead, here’s a map showing all the lovely street names available in Tin Can Bay. There’s Marlin Way, obviously. But Emperor Street! Coral Trout Drive! At the top there, Squire Street becomes Oyster Parade! Such magical whimsy! But no. We were on GROPER. I’m still not okay. I will never be okay. Perhaps this sudden rise to popularity—okay, popularity adjacency—went straight to my head. Because it was during my time at GROPER Street I briefly tried on a new in-school persona: hero. This is the story of the first (and only) fistfight I ever got into. A new new kid, Justin, had arrived at the school. Quiet at first, he turned out to be the worst bully Tin Can Bay State School had seen in a while. And he wasn’t the bulky, push-you-around kind either. He was the mean, wiry, thuggish kind. He was a fighter; all hard-faced and scrappy. But he didn’t scare me. I had no need to be scared: I had a close-knit band of friends people who didn’t actively avoid me; I was untouchable. Even though I was, at the time, the shortest person in our combined year 5-6 class (and I was in the year 6 half), I had the confidence, I had the calming sea air, and I had the popularity (adjacency) to entirely avoid being a target. But what of those kids who were targets? One afternoon I was walking across the oval and I saw Justin attached to the back of another kid, piggy-back style, and was hitting the kid about the head using the kid’s own arms. This would be the ultimate test to my new zero tolerance policy on bullying. Though, if I’m being perfectly honest, it was the first time I had ever witnessed bullying as opposed to being the victim of bullying, so I’m certain I stood staring for longer than I should have, just thinking “wow, so that’s what it looks like”. But I was snapped out of my daze by thoughts of all the times I wish someone had helped me when I’d been bullied, and decided I would do that for this poor kid. I stepped into the fray. Coolly and calmly. So cool. The epitome of cool. If, at that moment, something had exploded behind me, I wouldn’t have turned around. Striding forward, I peeled Justin off the kid’s back and yelled at him to leave [whatever this kid’s name is, he never thanked me anyway so what do I care] alone. I’ll say this much: technically it worked. I got Justin to stop harassing [whatever this kid’s name is, he never thanked me anyway so what do I care]. In fact, it was almost as if Justin forgot [whatever this kid’s name is, he never thanked me anyway so what do I care] existed. Because all of his attention was focused, with a white-hot rage, at me. Actually that’s not quite true: most of his attention was focused on the punch he was throwing. Which is probably why it hit me so squarely, and so hard, right under my left eye. He punched me so hard I lost my balance and fell over. And this is where I mention that we were standing at the top of a hill. I rolled down the hill, leaving a tiny trail of cheek blood and tears all the way down. Not that you’d need either trail to find me; you’d need only follow the sound of me wailing, sobbing, howling as I rolled. Like a cross between a car alarm and a hundred guinea pigs. On and on I rolled, on and on I wail/sob/howled. Would I ever stop rolling? Would this indignity ever cease? Still rolling, still falling, still tumbling ever downward. Gravity is a cruel mistress. Would this hill, a punched face, and the awesome power of Newton’s Laws of Motion carry me straight to hell? No, I would eventually come to rest. But only because I would roll, spine first, into a pine tree. 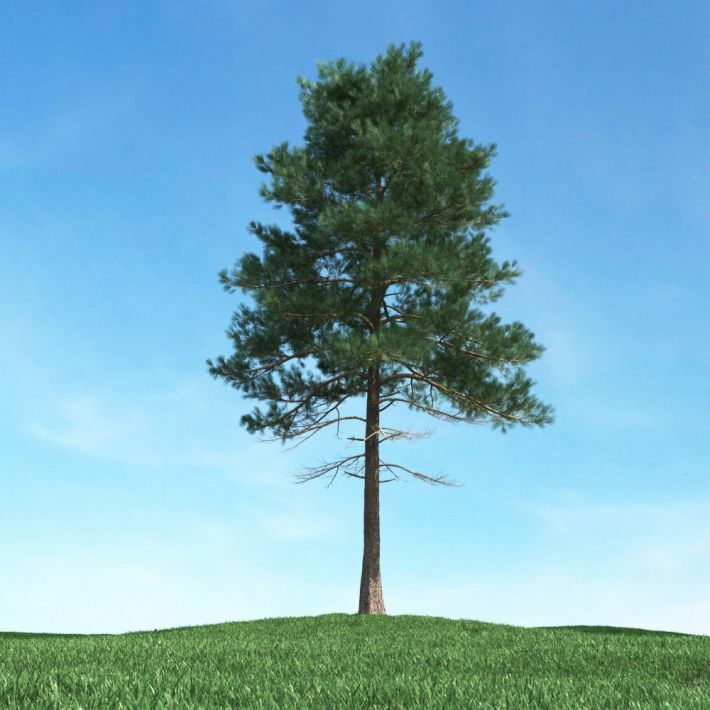 This is not the actual pine tree that hit me. I assume the pine tree that hit me was cut down. That’s what they do to trees that attack people, right? Wait, there’s more: the pain in my face and the pain in my back were intense enough that I didn’t even notice that the force of my body hitting the tree had jostled out a dozen or so pine cones, which then rained down on top of me. The good news is that Justin only threw that one punch. But that’s probably only because he couldn’t find me to throw any more: I was so far away. Down the bottom of a hill. Buried under under a pile of pine cones. Hardly a just reward for a hero! Loving each post, they’re written with such a gentle humour.